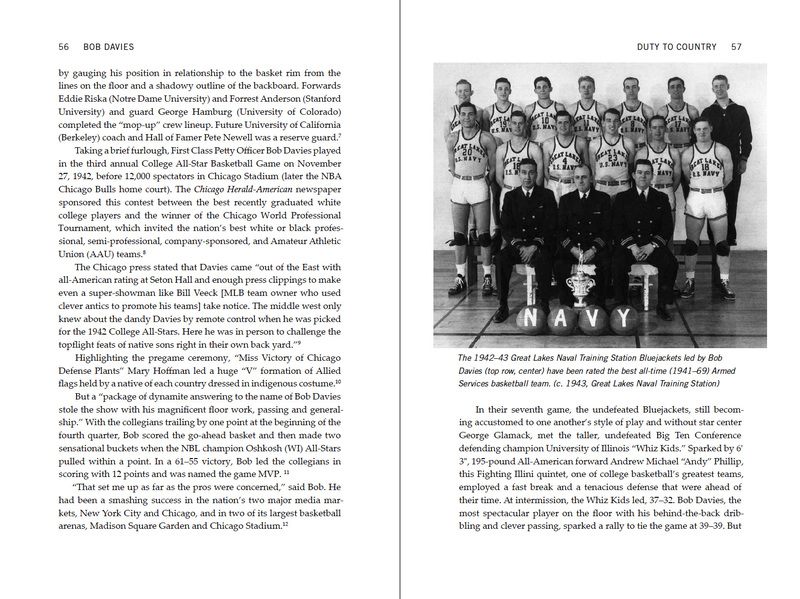 Bob Davies played a significant role in the development of modern basketball. Davies was one of the first three NBA superstars. As a Rochester Royal, he played on one of only four teams in NBA history to win the playoff championship or finish or tie for first in their division or conference for five consecutive seasons. 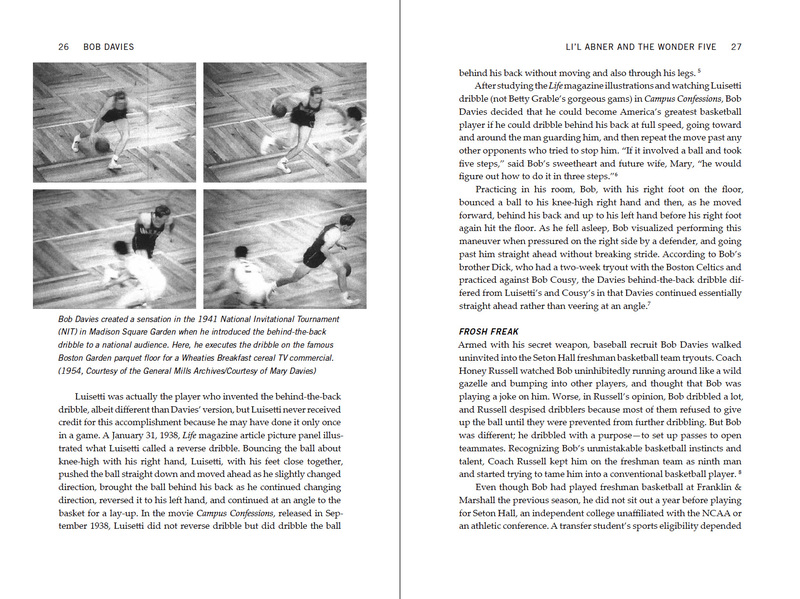 Davies is credited with introducing the behind-the-back-dribble, developing the penetration and transition styles of play, and creating several innovative passes. Named by Sports Illustrated as one of the eight most influential players in the first century of college basketball, the NBA selected him as one of the ten best players in its first quarter century. Davies was a rarity in American sports history—a genuine sports hero and role model. This biography is rich in photos, archival materials and personal interviews. 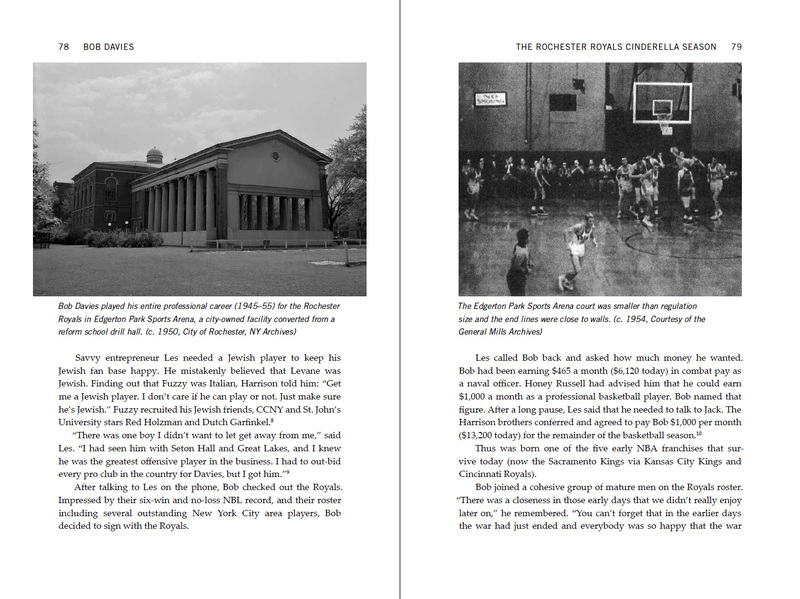 Barry Martin, a native of Webster, New York, saw Bob Davies play for the Rochester Royals. Martin is a Phi Beta Kappa graduate of the College of William and Mary, holds a master’s degree in American History from the University of Washington, Seattle, and graduated from the University of California Berkeley School of Law. He is a retired Administrative Law Judge. 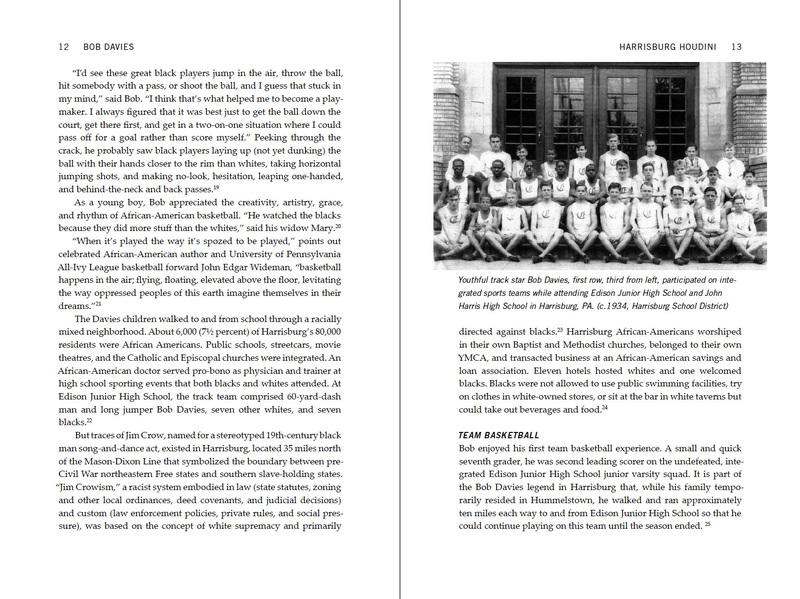 Martin has spent seven years doing extensive research, including interviews with Davies’ family members and former NBA players. The author and his wife, Carolyn, reside in Sacramento, California. 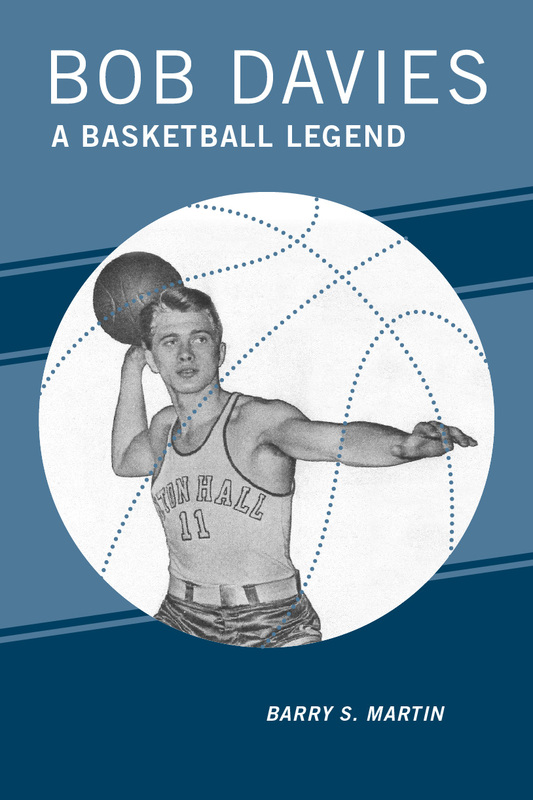 Did Seton Hall legend invent behind-the-back dribble?